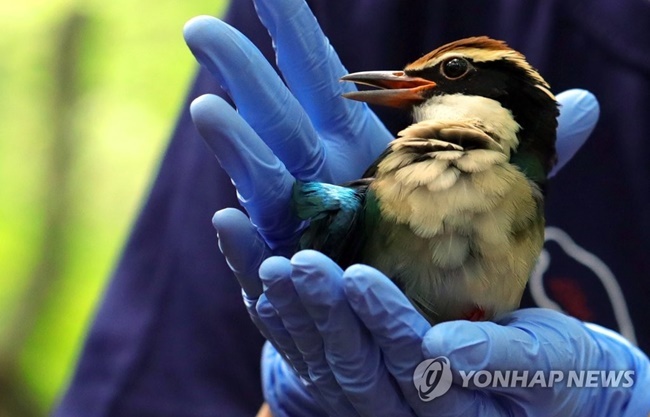 JEJU, Sept. 20 (Korea Bizwire) — The Jeju Wildlife Rescue Center released an endangered fairy pitta bird back into the wild on Tuesday after it was rescued earlier this month following an injury. 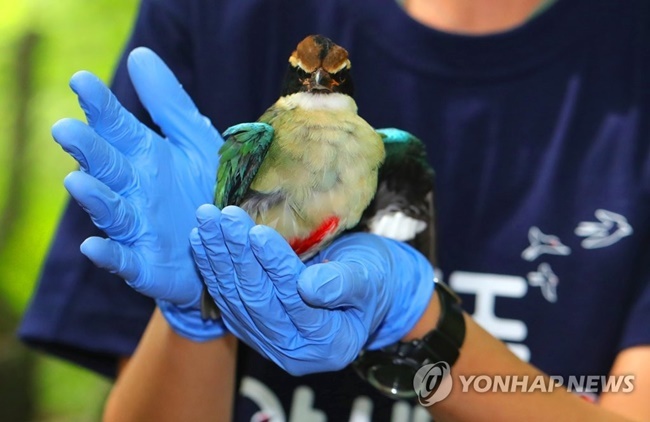 Fairy pittas are known to prefer dark places, and according to the Jeju Wildlife Rescue Center, the bird was injured when it crashed into a window in a failed attempt to get inside. 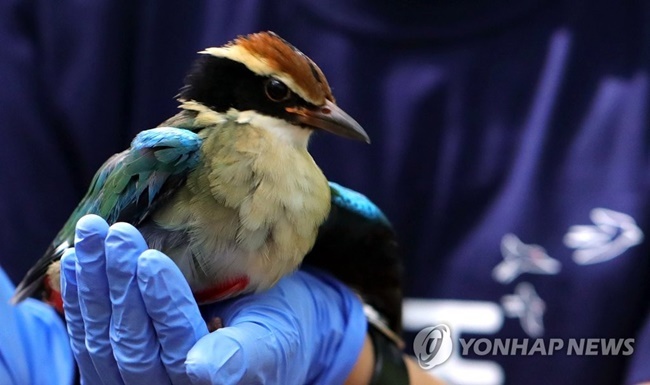 Though there was little to no movement due to severe brain damage when the bird in question was first captured, 24 hours of intensive care and the careful use of medication saw the fairy pitta eventually recover and fly again after rehabilitation. Fairy pittas are known for the unique sound they make when they cry as well as their colorful feathers, but they are also thought to be one of the most difficult to observe in the wild. “Fairy pittas have a strong sense of wariness and are often found in secluded places such as forests. 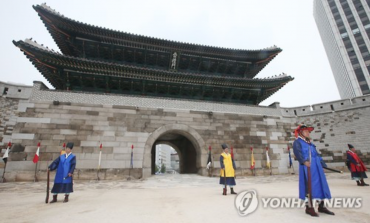 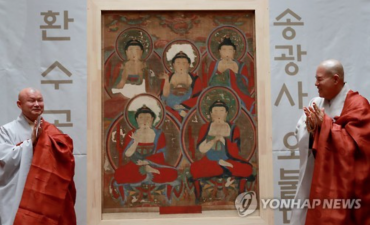 It’s interesting that following last year, another fairy pitta was found in a city,” said Kim Wan-byeong, a researcher at the Folklore & Natural History Museum.